Post-Traumatic Stress Disorder (PTSD) is a new term for an old problem. Military personnel have always suffered from the horrors they experience during combat. PTSD is a term that originated around 1980 to describe the emotional impact of those incidents on human beings, especially veterans coming home from the Vietnam War, particularly veterans returning from heavy combat. Unfortunately, it is not an easily detected problem because there are no external signs a person is suffering from PTSD. It’s not like being shot or wounded by a mine. It is a much more subtle problem to detect, but very disabling for many veterans. How can a veteran go about filing a disability claim with the Department of Veterans Affairs? It’s very easy! All you have to do is simply contact your local Department of Veterans Affairs Office. There is at least one office in every state, most likely in the state capital, but it varies from state to state. When contacting the VA, just tell them you want to make a claim. The VA will send you a form. If your disability prevents you from making a claim, your local congressman or senator can send a letter to the VA on your behalf and they will open a claim based on that letter. How long does it take to get VA benefits once I apply? The time varies enormously. It can happen relatively quickly (6 months to a year) or it can take as long as 10 or more years depending on your claim. But typically, if there is a relatively clear case and you have a representative who presents your case effectively, your claim will be decided within 6 to 18 months depending on which Regional Office of the VA you’re dealing with. 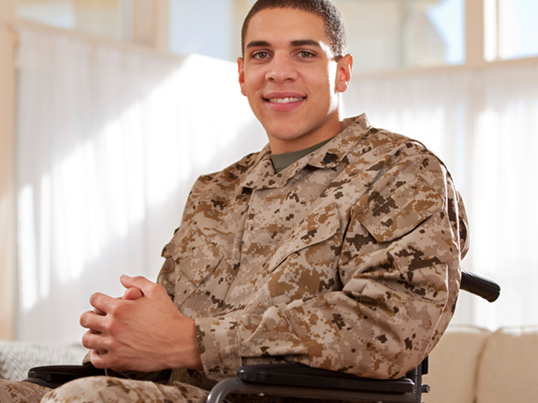 What makes a person eligible for Veterans Disability compensation? You’re eligibility for Veterans Disability compensation depends on the relationship between your physical or emotional disability and your time in-service. Typically for physical things, it will be an injury while serving. Sometimes an injury doesn’t seem serious at the time, but the injury develops more seriously as you age. Or, it can be a mental or emotional problem that becomes more severe after leaving services. What is the difference between Veterans Disability compensation and Veterans Disability pension? The Department of Veterans Affairs has two different programs for veterans who suffer from disabilities. Disability compensation is a program to compensate those whose disabilities, whether physical or emotional, are directly tied to service. Disability pension, on the other hand, is a program for veterans who have served in times of war and have become disables but whose conditions are not directly connected to service. What should I do if my Veterans Disability claim is denied? The very first thing you should do if your Veterans Disability claim is denied is contact the VA immediately and tell them you disagree with the decision by putting it in writing. The VA calls it a “Notice of Disagreement” or NOD. You only have to send a short note or letter saying you disagree with the decision and that you want to appeal. You must say you want to appeal. You can also hire legal representation to help you with appealing your denial. DIC benefits and accrued benefits are the benefits that the Department of Veterans Affairs can pay to the spouse of a deceased service member. Essentially the purpose is to compensate them financially for the loss of the service member. There are two types: DIC benefits and accrued benefits. 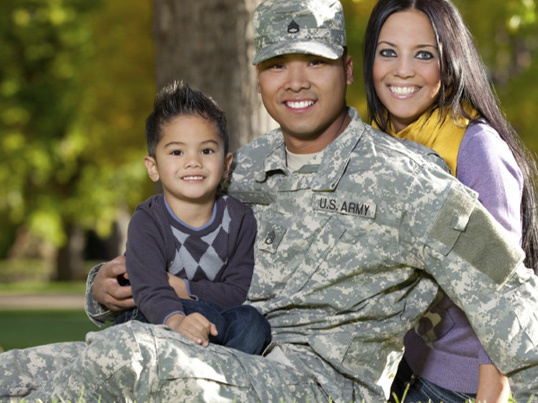 DIC benefits are payable for the loss of the service member and their income. 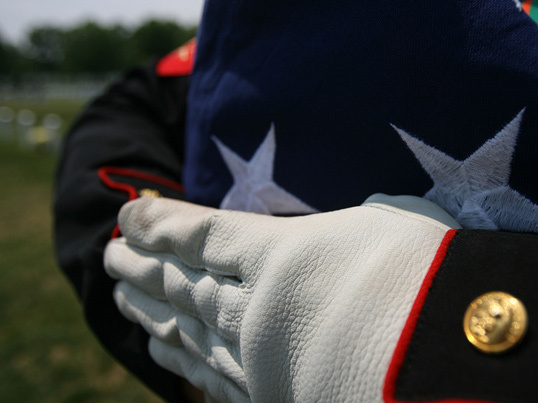 Accrued benefits are payment of benefits that the service member was entitled to be paid during his lifetime. How does the VA determine my level of disability and compensation? The way the VA determines the level of disability and compensation by what they call ratings exams. The VA will send you to an evaluation by a physician (or psychologist psychiatrist for mental health issues) who will give the VA a report on various criteria about the severity of your condition. Depending on the nature of your condition, your rating can be anywhere from as low as 0 percent up to 100 percent. Typically, many claims are rated in the 10 to 30 percent range, but more severe claims may be rated anywhere from 60 to 100 percent. What is compensation for unemployability? Unemployability or TDIU is the VA’s short-hand term for Total Disability based on Individual Unemployability. This just means there are certain cases where the veteran’s disability is so severe it prevents the veteran from working. In those cases, the government compensates by giving a higher rating, a 100 percent benefit payment, even though the actual percentage rate assigned by the VA is less than 100 percent. If you have a condition caused by service in a war that later results in another limiting condition, that secondary condition can be claimed as a secondary service connection just as if it were caused by service. No, veterans’ benefits are not taxable. How much of a benefit does the VA pay? The answer is somewhat complicated. It depends on two things: whether or not you’re receiving non-service connected pension or service-connected compensation. If you’re receiving service-connected compensation, it depends on the percentage rating of disability you have been assigned by the VA. If you have a rating of 10%, you can receive up to $123 per month or up to $2,673 a month if you’re rating is 100 percent. It varies depending on your rating from the VA. If you’re receiving pension, the maximum amount you can receive per year is up to $11,830 per year, or with a spouse, up to $15,493 per year. What benefits are available to veterans affected by Agent Orange? Benefits available for veterans affected by Agent Orange vary considerably It depends entirely on what condition or conditions have been determined by the VA to be service-connected based on Agent Orange. There are a number of conditions that can be service-connected based on Agent Orange such as soft tissue problems, cancers, Type II Diabetes and more. The compensation rate varies depending on your rating from the VA.
Technically, you don’t, but it is helpful to have experienced representation like the attorneys at Jackson & MacNichol. There are many helpful veterans’ services organizations such as the American Legion, the VFW, the Paralyzed veterans of American, or Vietnam Veterans of America. Make sure you have an expert in the claims process who is dedicated to your claim. Unfortunately, many local VA offices are overwhelmed with the volume of claims and don’t have time to focus on your individual claim and prepare it effectively. Contact our office today for a FREE evaluation of your claim.